This island hopping trip will show you some of the best sights in Thailand. 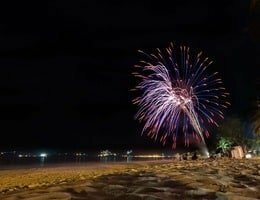 You’ll also experience an unforgettable New Year’s Eve celebration at Patong’s gay beach. Our representative will meet you at the airport and transfer you to Patong. You’ll get to explore Patong town and Patong’s gay beach. In the evening you’ll experience an unforgettable New Year’s Eve party on the beach with your fellow sailors. On the second day, hopefully not too hungover, we’ll set off for Nai Harn. This peaceful bay in the South of Phuket Island is the perfect place to relax and enjoy a beach dinner at a local restaurant. Some hair of the dog may be required. We’ll set sail for the Koh Rang islands, passing mangrove forests on the way. When we arrive you can indulge in some wonderful Thai cuisine. 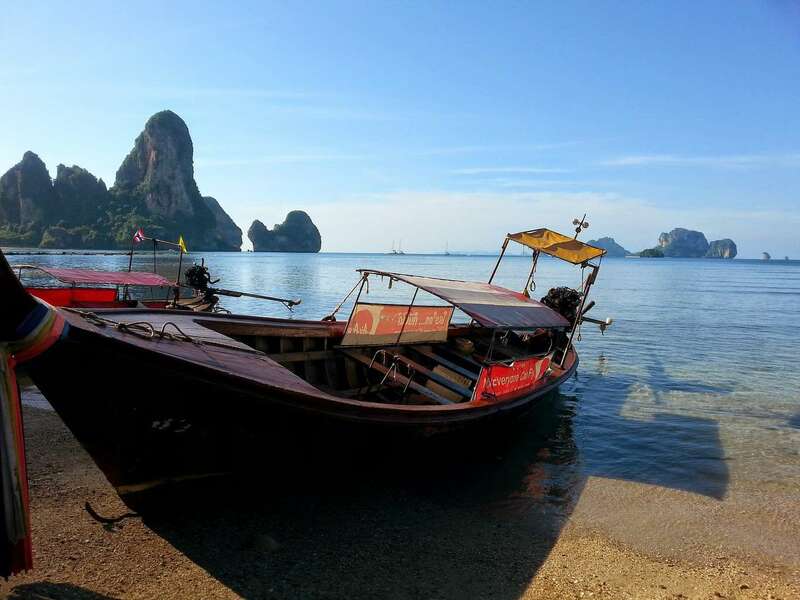 On the fourth day the boat will sail to Phang-nga Bay and anchor on Ko Hong Island. Here you swim and explore the enclosed lagoon. 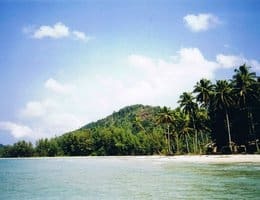 Koh Chang is the third largest island in Thailand. It isn’t as well known as Phuket and therefore less of a draw for tourists. This means that it’s far more peaceful. We’ll be staying overnight on the island so there’ll be plenty of time to explore. 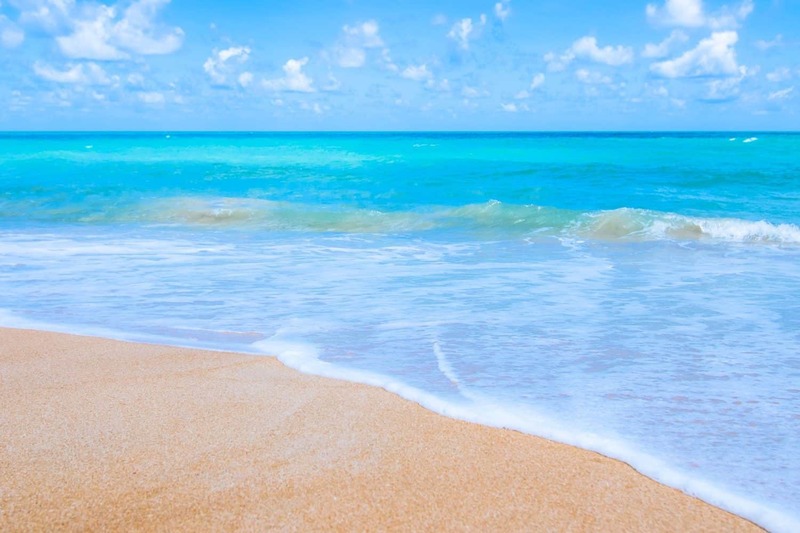 You may wish to check out the pristine White Sand Beach. 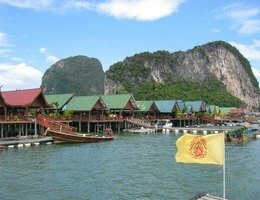 On the sixth day we’ll arrive at Koh Panyi. This sparsely populated island’s economy is supported by fishing. 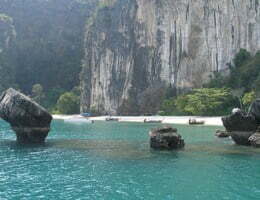 In recent years it has opened up to tourism and welcomes many boats coming in from Phuket. Exploring this island can feel like encountering a lost world. Today you’ll sail back to the Marina and where you’ll be picked up from the airport and transferred back home. HOW LONG IS THE TRANSFER FROM PHUKET INTERNATIONAL AIRPORT? The journey from Phuket International airport to the marina is approximately an hour’s drive. DO I NEED TO HAVE PREVIOUS SAILING EXPERIENCE? 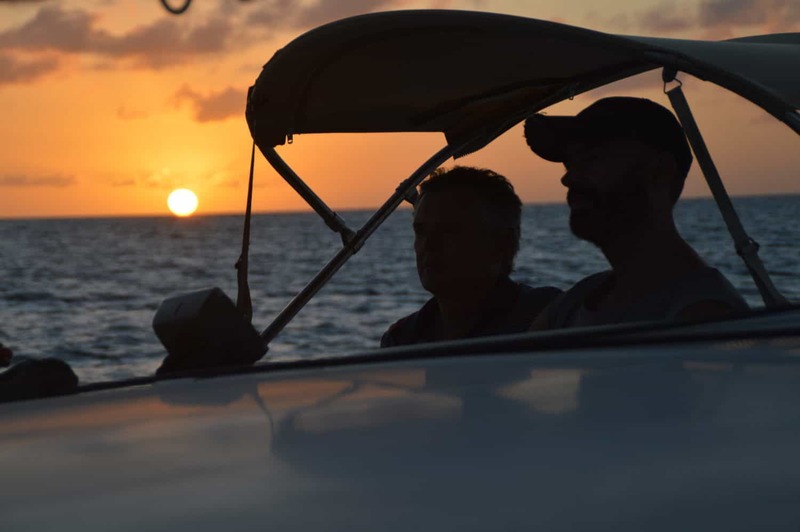 No not at all, you can learn as much or as little as you’d like, there’s always the option to help the skipper with mooring the ship or alternatively, you can sunbathe and take in the beautiful rays. CAN I STILL GO ON THE CRUISE IF I SUFFER FROM SEA SICKNESS? Yes, of course, medication is sold on board if necessary but most of the routes the cruises take are between islands meaning that there is a low chance of violent waves. WHAT SHOULD I BRING WITH ME? It is advised that you bring a small bag that can be folded if possible due to the limited space (suitcases not advised). Summer clothing, swimwear, a warmer jumper for the cooler evenings, toiletries and a rucksack to take ashore. WHAT PROPORTION OF GUESTS ARE SINGLES AND COUPLES? The cruises usually consist of 30% couples and 70% singles. IS THERE A SINGLE SUPPLEMENT? You can book a cabin for yourself at an extra charge, however, if the trip is fully booked you will be asked to share a cabin (usually a bunk bed or twin beds).